Although no one knows presicely when and where the technique of weaving first started, There is no doubt that the weaving art, in general, started in Central Asia. A popular explosion coused the inhabitants of that area to migrate to the western parts of Asia in order to find more presperous land. These migrating tribes were called yoruks or nomadic tribes. During their migrations, these nomads, who were exposed to severe weather conditions, learned to use goat hair in the making of their tents. Goat hair is longer and much siffer than sheep's wool. The flatweave technique was used in the making of nomadic tents. Just as with a little girl's braided pony-tail where strants of the shorter and stiffer hair stick out, the goat hair sticks out of the woven fabric, gets wet, drops and partially cover the holes in the flatweave, thus making tent almost waterproof. Later on, these nomadic people felt the need to isolate themselves from the humidity present in the earthen floors of their tents. They then applied the very same techniques of flatweave to the making of floor coverings and called them "Kilims". Since this was the area of paganism, most flatweave designs reflected stylised depictions of the worshipped sembols. Over a period of time, the art of weaving improved and many items usefull in everyday life were woven-for example saddle bags for horses and camels that could be used in the transportation of many types of items. The Yoruks also wove kilims with goat hair and used them as warm blankets since the fibers were so long-just as in today's Siirt blankets. It's thought that these early blanket were woven in imitation of actual animal felts. Kilims were also woven as room dividers in the tents, as well as for cradles, with the corners tied to the overhead tent poles so that the cradle could be swung back and forth to rock the babies to sleep. These many types of woven products improved over time with additional uses developed on an evolutionary basis. At first the nomads, who strictly lived in tents, stacked dried leaves and lay them in the corners of their tents and used the soft stacks as beds. Under the weight of the sleepers, the beds rapidly turned into dust and provided little comfort, thus causing frequent replacement. Then in a further inspiration of using animal pelts as a model, the nomads started to add pile to the basic flatweaves. These first pile rugs were very supple, the nomads would simply fold and throw them on a horse's back to be used as a sleeping bag during their long voyages. Turkish Carpets, whether knotted or flat woven (kilim) are among the best known art forms produced by the Turks from time immemorial. There are environmental, sociological, economic, and religious reasons for the widespread art of carpet weaving among the Turkish people from Central Asia to Turkey. The geographical regions where Turks have lived throughout the centuries lie in the temperate zone. Temperature fluctuations between day and night, summer and winter may vary greatly. Turks-nomadic or pastoral, agrarian or town-dwellers, living in tents or in sumptuous houses in large cities-have protected themselves from the extremes of the cold weather by covering the floors, and sometimes walls and doorways, with carpets. The carpets are always hand made of wool or sometimes cotton, with occasional additions of silk. These carpets are natural barriers against the cold. The flat woven kilims which are frequently embroidered are used as blankets, curtains, and covers over sofas or as cushion covers. Turkish carpets are among the most sought after household items all over the world. Their rich colors, warm tones, and extraordinary patterns with traditional motifs have contributed to the status that Turkish carpets have maintained since the 13th century. Marco Polo, who traveled through Anatolia in the late 13th century, commented on the beauty and artistry of the carpets. A number of carpets from this period, known as the Seljuk carpets, were discovered in several mosques in central Anatolia. These were under many layers of subsequently placed carpets. The Seljuk carpets are today in the museums in Konya and Istanbul. It is very exciting to imagine that we may be looking at the very same carpets that Marco Polo praised in the year 1272. Anyone who enters a mosque has to take off his/her shoes. The mosque is the common house of a Muslim community, therefore, shoes are cast off before the door. Moreover, the ritual of prayer requires the faithful to kneel and touch the ground with one's forehead in humility before God. There are no chairs or benches in a mosque, only carpets. A Turkish mosque is often covered "from wall to wall" with several layers of carpets. To deed a carpet to a mosque is an act of piety and many Muslims do so. Prayer carpets that are small enough to be carried easily accompany many Muslim travelers. The Muslim, wherever he or she is, upon determining the direction of the Ka'aba in Mecca, lays down the prayer carpet and through the ritual of prayers communicates directly with God. Expansion & Development of Turkish Rug & Kilim Weaving in Anatolia during the time of Selcuk Empire and before they came to Anatolia, Turks reigned in Iran (Persia) and caucasus for several centuries. The art of weaving was introduced to Anatolia by the Seljuks toward the end of the 11th. and the beginning of 12th. centuries when Seljuk sovereignty was at its strongest. In addition to numerous carpet fragments, many of which are yet to be documented, there are 18 carpets and fragments which are known to be of Seljuk origin. The technical aspects and vast variety of designs used proves the resource fullness and the plendor of Selcuk rug weaving. The oldest surviving Seljuk carpets are dated from the 13th.-14th. centuries. Eight of these carpets were discovered in the Alaeddin Mosque in Konya (capital of Anatolian Seljuks) in 1905 by Loytred, a member of German consulate staff, and were woven at some time between the yaers 1220 and 1250 at the appex of Seljuks reign. Of these 8 striking rugs, 3 are large complete rugs; 3 are large fragments from small rugs, and 2 are fairly small fragments originating from large rugs.Three more carpet fragments from the Seljuk period were discovered in 1930 in the Esrefoglu Mosque in Beysehir. Today, these rugs are displayed in the Mevlana Museum in Konya and the Kier collection in London. A third group of carpet remmants were recovered in Fostad (old Cairo) in 1935-1936. These 7 rugs from Fostad were identified as having originated in Anatolia in the 14 th. century.The most common design characteristic of the 18 rugs before mentioned are the Kufic border, the eight pointed star, and the hooked (geometric) motif. The Turkish rug, which originated in Central Asia, preserved all of its characteristics until the 14th. century. After the Ottomans gained control over the whole Anatolia, changes began to appearing the composition of the field, in the characteristics of the motifs, and in the sizes of the still traditionally woven Turkish rugs. During the Ottoman reign, several turkish tribes decided to settle down and built a number of villages and small towns. Notably, the village of Hereke was settled on the edge of Marmara Sea some 60 kilometers east of Istanbul. The first court carpet workshop was established in Hereke and began to weave carpets of unusually large sizes to be used in decorating Ottoman palaces. These exceptionally fine rugs were also used to tie and retie relationships with Europian countries in time of war and peace and so they were given as gifts to kings and queens, as well as to key army commanders and statesmen. Towards the end of the 14th. century, these rugs which were the finest samples of the eye and hand harmony, began to enter european homes, churches and castles then to intermediaries such as merchants Florance and Genoa. During the 14th., and 16th. centuries, Turkish rug designs apperead prominantly in many European artists' paintings, with the rugs so depicted being of Anatolian origin. These paintings were subsequently named for the respective artists, for example, Holbein, Lotto, Memling, Van Eyck, etc. In the begining of the 16th. century, every European prince owned a private carpet collection. (Herman Haack, Echte Teppich- Eastern Rugs). In Vienna, the people were allowed to own rugs after 1671. 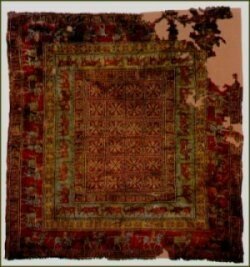 When the Turks left Vienna, many Turkish rugs were left behind in their tents. This allowed fine Turkish carpets to become known by the European population. A short time thereafter, the kings and queens of Europe began to open their castles and palaces, as well as their residences, to visitation by their subjets. This in turn, spurred European interest and thereby dramatically increased the demand for hand-knotted Turkish carpets. In the 19th. 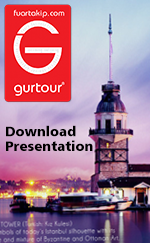 century, additional court workshops were opened in Istanbul in the district of Kumkapi, Topkapi and Uskudar. And in 1891, Sultan Abdullhamid II increased the number and sizes of the carpet workshops in Hereke, and thus, the exquisite carpets woven in Hereke became more plentifull. Throughout their development- from Central Asia to the Caucasus region to the Anatolian plains, steppes, and coastal areas, and through the Seljuk and Ottoman areas Anatolian rugs have maintained the purity and caracteristics of their origin. Turkish court rugs were originally influenced by sources brought under Turkish control, but which were modified Turkish standarts and requirements. Thus, Turkish rugs reached their deserved place in Europe. Rugs from Hereke, Ushak, Bergama etc. became well known and kind increasing in demands continiuing to increase with time. Anatolian rugs are unbelievably rich in desing, colour and symbols. Today, these fine rugs are woven in more than 750 villages and tribal (nomadic) areas. Each of these rugs differs from each other by their particular desig, symbols, and relative size; these caracteristics are passed on from mother to doughter, and thus for centuries they have kept same design, symbols, and beautiful shades of colour.